Data management no longer centers solely on the ability to store and process or create and delete data. Think instead about the users of – and uses for – information. Managing information means supporting better decisions and delivering value to support business processes and new opportunities for analysis. 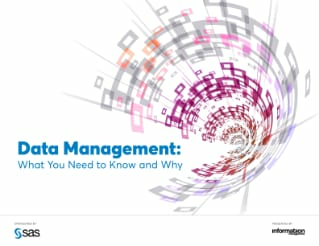 This e-book, produced in partnership with Information Management, explores the essential building blocks of data management, including master data management, data governance, data quality, data integration and data federation.